When incidents occur on our roads creating large amounts of debris, or where irresponsible individuals dump harmful waste within our community, our local authorities and emergency services sometimes require a helping hand. This is where Colson Transport emergency clean up service arrive on the scene. 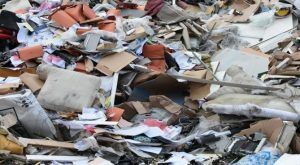 Cases that our speedy emergency clean up service frequently deal with tend to fall into two categories: cases which are avoidable such as the infuriating act of fly tipping, and cases which are unavoidable, for instance debris resulting from natural disasters or accidents. Both can be dangerous for different reasons and both require a rapid response – here is why. Did you know the consequences of fly tipping on your community? Fly tipping is more than just littering. It is now a prosecutable offence. More significantly than just making an area look ugly, fly tipping is dangerous to people and the environment surrounding it. A government report detailing fly tipping statistics during 2016/17, show that reported incidents have risen each year since 2012/13. In 2016/17 the number of total incidents exceeded one million and shockingly during that year the “most common place for fly tipping to occur was on highways”, which accounted for about half of all incidents. 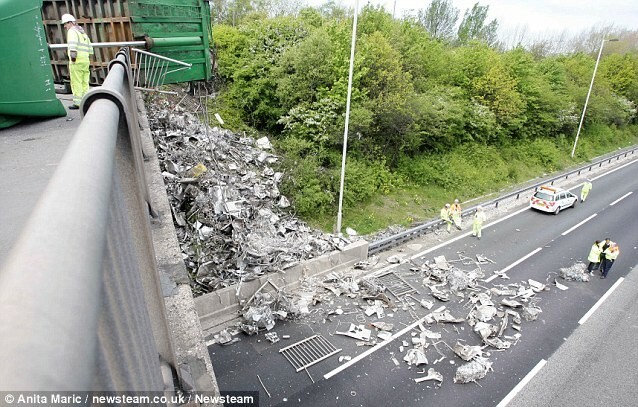 There are obvious dangers from this that waste can end up on busy roads and potentially cause an accident. On top of this, where liquids have not been sealed properly, they can leak and spill causing unsafe driving conditions. Fly tipping not only has an impact on the people within the community, but it is also highly detrimental to wildlife and the environment. Dumped waste often contains toxic chemicals, which if they leak can contaminate soil and surrounding rivers. This has severe consequences on local wildlife, either through directly poisoning them or destroying their source of food/habitat. As well as this, fly tipped waste invites rodents, infamous for spreading infectious diseases, to the area. It is essential that fly tipping is reported and cleaned up with the utmost urgency, which is where Colson Transport emergency clean up service can help. When a busy road is obstructed with debris, whether from a collision or a natural hazard, it requires a rapid yet thorough clean up job. The clean up must be carried out thoroughly to ensure the road is safe. 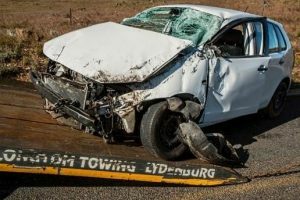 Especially after a vehicle accident, potential dangers include debris, shards of glass, spilt oil and even spilt blood. These all present their own hazards and must be cleaned up carefully. Simultaneously, the clean up must be carried out speedily. We all know too well how frustrating traffic jams are. But on top of being awfully tedious, there are a number of negative effects that traffic congestion has on the community and the economy. For instance, in a jam you burn fuel at a higher rate, costing commuters more money and also increasing carbon emissions. Let us know if our emergency clean up service can help!